Hello everyone, hope your day is as beautiful as mine. Welcome to another Macro Flowers Saturday tour! 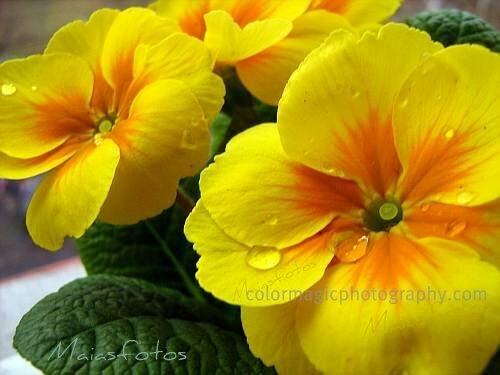 The supermarket was loaded with brightly colored spring primroses today, in all colors of the rainbow. I bought a few of them too and have taken photos of them all the afternoon. That's why I'm late with my post too but its a good reason. See also a scented, orange primrose with velvety petals. 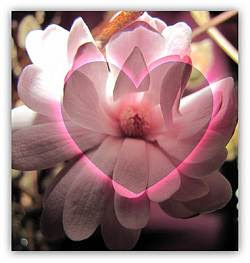 Last week's favorite photo (by voting) is this beautiful magnolia with a heart, uploaded by Leslie Boss. Please visit her beautiful blog. I've changed the settings on voting, now you can cast three votes so remember, come back to vote after Wednesday! Also, Macro Flowers Saturday starts at 5PM GMT form now on. Regular contributors have a link to their blogs' or websites' main page in my sidebar, on each post page. Click the button to see the MFS #50 list. 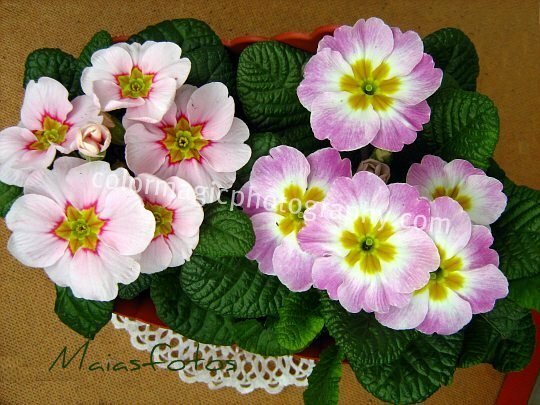 These Primroses are so lovely! Great shots! Oh! 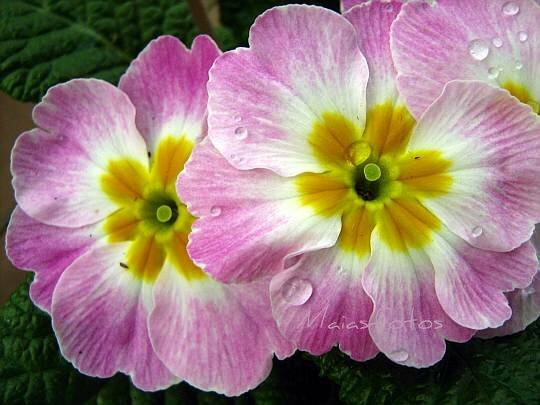 I love primroses - I wanted to plant some on the eastside creating a primrose path. Maia, these are outstanding. Such pretty and dazzling colors with those special water droplets. I just love them. I forgot to vote last week, I'll make a note of it for this coming week. Hi Maia, I am back; I have tried out all the links and they work. The primroses are so colourful. I think they add every year a few shades more. They really herald spring. What beautiful pictures. You can almost smell them! They are so bright and pretty! I am afraid we are a long way still before there will be any garden centers open here in Michigan! Whta's the difference between spring and evening primrose? Awesome selections. It's great to know I'm not the only photo nut out there. 300 photos! Way to go. That's why these are so beautiful. Of course the drops of water just makes them more exquisite. And by the way, I'm your newest follower. Love your work. Awesome shots, I am blown away by all those beautiful colors. So far I haven't seen any primroses at the supermarkets here. But then we had snow today and it a little cold. I love your blog and the flowers. It is nice seeing them regardless. Will be nice when the yards are filled with their beauty. So lovely! thanks for some pretty on a winter morning. But the heart magenta was super and Leslie deserves to win. I took fresh photos too early Saturday! What an exciting time for all of us! beautiful these little flowers always make me happy. Such pretty flowers. These are a delight in these cold Michigan days which I am glad to partake of. I've got to join in, I do love taking flower pictures but haven't taken too many macro pics yet. I would like to invite you join my blog party "Being Creative" starting tomorrow. I hope you join in! 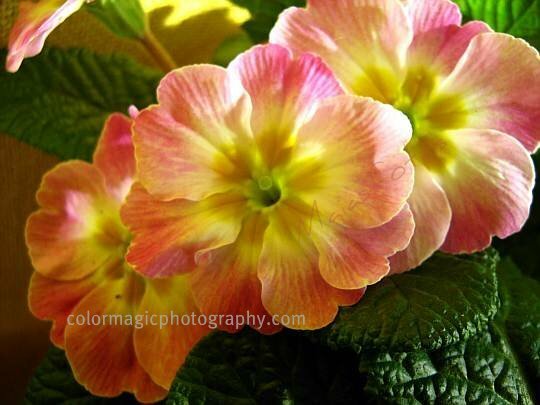 The primroses are gorgeous and I love all the pretty colors. 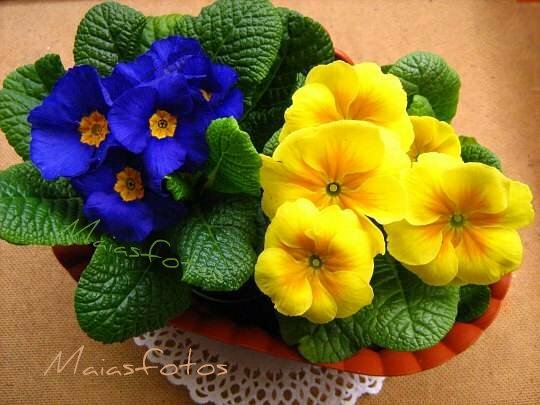 Beautiful primroses. Love those colors. Gorgeous! The colours are so vibrant. Fabulous photos. Thank you all for these beautiful comments and for the lovely contributions. Please pay attention when you insert your links, I can't correct them if they don't work. Lindas prímulas! Difícil dizer qual a mais bela, pois todas são únicas em sua beleza! The pictures are really colourful and gorgeous!